The flavors of Italy in your cup: ripe tomatoes, thyme, plantain, basilicum and sacred basilicum. We’re all familiar with the regular tomato soup and tomato juice so we taught it’s about time to try a new variant of a tomato product. The flavors of Italy in your cup: ripe tomatoes, thyme, plantain, basilicum and sacred basilicum. We’re all familiar with the regular tomato soup and tomato juice so we taught it’s about time to try a new variant of a tomato product. Take a moment for yourself with this easy rider. 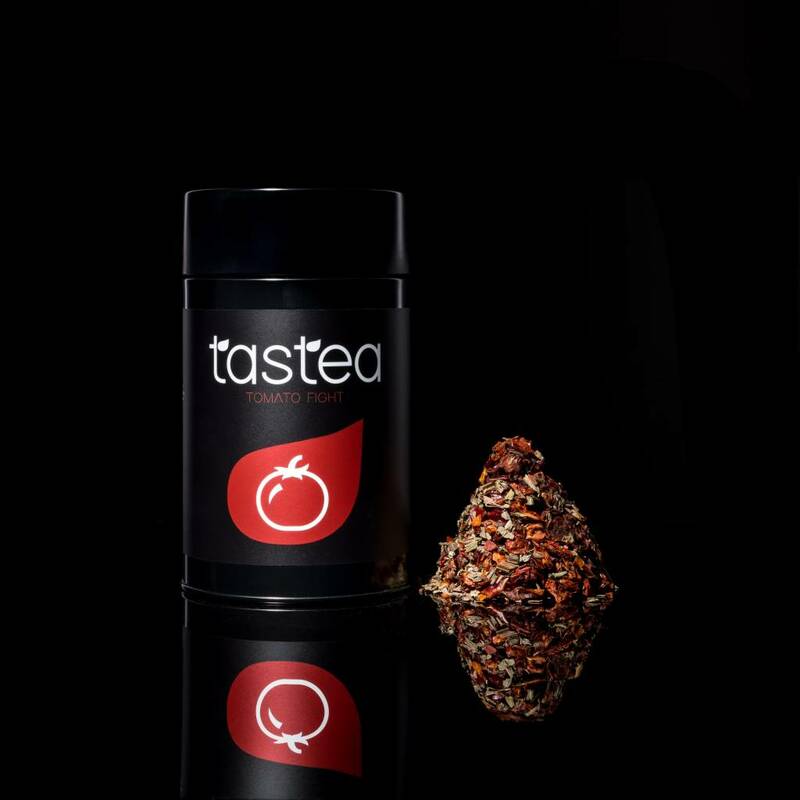 The Tomato Fight tea is also highly suited for cooking. To read about the experiences of satisfied customers, you can click on 'reviews' to see what they have to say. Tip: Prepare bruschetta or salad with a homemade Tomato Fight dressing. Dried tomato (tomato, sea salt), thyme, buckhorn, black pepper, basil, tulsi herb cut, cornflower petals red, cornflower blue, wheatgrass ground.